Naturally, the world’s second-largest country hosts many of the world’s best casinos. Though they may not be as famous as those south of the border, you’re missing out if you don’t put Canada on your casino map. Of course, Canada is a big country and if you can’t make it to any of the casinos below – though we’ve covered the major provinces – then you can also enjoy gambling online. 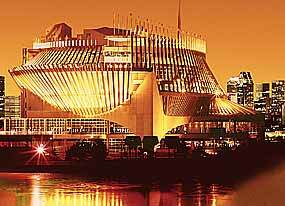 Quebec hosts Canada’s largest casino – so large, in fact, that it boasts its own street: you can find the five-floor venue on Rue du Casino. In these five floors you will find 3,000 slot machines from various software providers, over 100 table games, and a separate 18-table poker room that is well-regarded by many of the world’s top players. The size of the casino means that gamblers can enjoy a game from as little as $0.01, though for high rollers there are $500 per spin slots. The membership program shares many features with online casino loyalty schemes, with all play converted into points exchangeable for goods or services at the casino. In addition, four restaurants run by award-winning French-Canadian chef Jean-Pierre Curtat keep the many players well-fed. Those looking for a relaxing drink can head to Le Poker or Le Carré bars – the former a modern, vibrant bar and the latter a lively musical experience. Note that French is the typical language spoken at the tables. Richmond’s River Rock Casino Resort is the largest in western Canada, with 70,000 square feet playing host to 900 slot machines and 14 poker tables as well as numerous other table games. This includes the famous Dogwood Club, a high stakes VIP room for only the highest of high rollers. The 193-room all-suite hotel known simply as “The Hotel at River Rock” was opened in addition to the resort itself, doubling the total capacity of River Rock. The resort additionally has six restaurants – from 2011 Diner’s Choice winner Tramonto to the cheap but high-quality International Food Court. Other highlights include a large indoor pool area and fitness centre, plus an instant $5 free play reward when signing up for a players card. Vancouver international airport is located close by for those coming in from farther afield. This gigantic resort – 2.5 million square feet – lives up to its name, overlooking the world-famous Horseshoe Falls. It’s not just aesthetically pleasing: Fallsview plays host to more than 3,000 slot machines and 100 gaming tables, as well as a poker room. In addition, you’ll find a luxury hotel with almost 400 rooms, a full service spa, a fitness centre, and the 1,500-seat Avalon Theatre. Of course, players will also have access to dozens of shops and restaurants including Ponte Vecchio, the Italian restaurant, and the Asian dining experience at Golden Lotus – two player favourites. This $1 billion casino is popular with players from both Canada and the US, and was voted Ontario’s Favourite Casino six years running. Located scarcely a mile from the American border, Caesars Windsor has 758 hotel rooms and a 10,000 square feet fitness centre to offer players. The casino itself is as impressive as one would expect from Caesars, with thousands of slot machines and 80 table games as well as a 14-table poker room. The concert and entertainment venue, the aptly-named Colosseum, hosts music and stand-up comedy as well as other shows on a nightly basis. From a dining perspective, Neros Steakhouse, Pronto Café, Taza Mediterranean Grill, and Artist Café offer a variety of cuisines and experiences for players. It doesn’t end there – Elyx lounge, the classy and modern cocktail bar, is one of the best drinking experiences you’ll have in Canada. A more casual time will be found at the vibrant and energetic Cosmos bar, while the funky glass VU Bar brings the best of both worlds to the table. Just outside Alberta’s capital Edmonton, River Cree Resort and Casino has 39 gaming tables and over 1,000 slots. Players are accommodated at the 249-room Marriott hotel. One unique and cool feature of River Cree is the Tap 25 restaurant – self-described as “the MVP of sports lounges”, the restaurant has dozens of beers on tap and all the day’s racing and sports action on a selection of screens to follow your bets. A more upscale and less gambling-orientated dining experience is to be found at Sage restaurant, with SAIT trained sous chef Robbie Oram providing a classic menu and exclusive wine list. Simply named The Venue, the casino hosts some of the biggest names in comedy and great musical acts in its theatre.